This week’s episode of The Adelaide Show, celebrates Ralf Hadzic without the F-word. 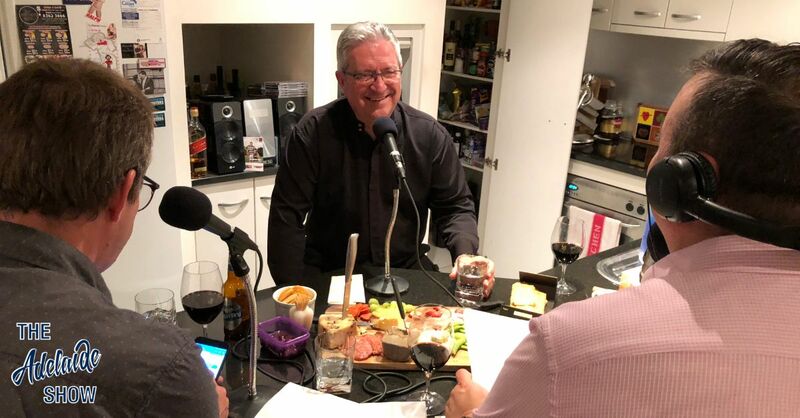 Ralf was previously on The Adelaide Show in episode 119, in which we squeezed many stories from him about the time in his life when he played Fat Cat on television. But this week, we are talking about his tour company, Life Is A Cabernet, which not only shows people around our glorious wineries in SA but also transports visiting stars, most recently, Lionel Richie, when they come to Adelaide. This week, the SA Drink Of The Week is a wine from Ochota Barrels. In IS IT NEWS, Nigel challenges us on stories about flying visits. In 100 Weeks Ago, we take you back to our interview with Todd Fischer, our musical curator. And in the musical pilgrimage … we have a new song by Emily Davis being launched this Saturday. 2017 Ochota Barrels Single Vineyard Grenache … tasting notes. 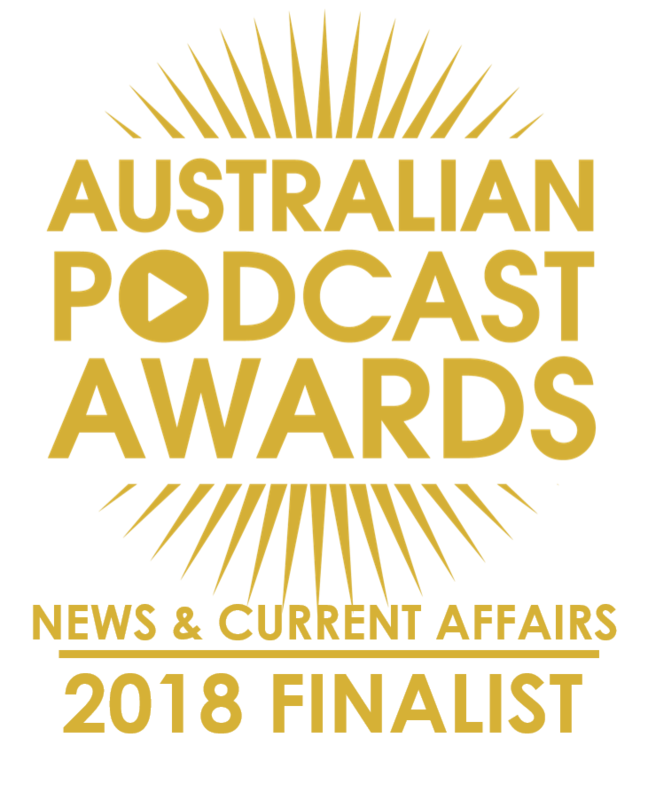 We have made the finals of the Australian Podcast Awards. This week, we’re celebrating Adelaide’s adopted Son Of A Gun, Ralf Hadzic, without mentioning the F-word. Ralf was previously on The Adelaide Show in episode 119, and you can learn all about his time as the F-Cat there. This week, we are talking about his tour company, Life Is A Cabernet, which not only shows people around our glorious wineries in SA but also transports visiting stars, most recently, Lionel Richie, when they come to Adelaide. Ralf, what do you do in that car of yours, that makes celebrities seek you out? During the Adelaide Fringe, we saw Anna Thomas’ show, How To Drink Wine Like A Wanker, and it covered obnoxious tour groups. What do you see out there? Can the tour guy enjoy the day, or are you too focussed on your guests? What are the protocols in dealing with winemakers? With bottle shops doing better deals than cellar doors, and many doing tastings, what is the allure of a cellar door visit? With celebrities, what is your preparation routine? How have you dealt with roadworks? When have you winced and wished you “hadn’t said that”? Have any left a mess in the car? ADELAIDE AIRWAYS TAKE OVER TASMANIAN SERVICE. May Become One Day Direct Trip. Adelaide Airways Limited has acquired the Hobart to Adelaide service from Tasmanian Airways Limited by an agreement reached in Adelaide yesterday. Director A. D. Hill said that the Adelaide company would take over the service from July 1st. It was hoped later to make the service direct, and to arrange for the trip to be made during one day of daylight flying. Ern Allen, of Murrayville, will pilot the Auster to Adelaide on Friday, with Ron Kirkbright, Ivon Bennett and Doug Venning as passengers. Ron is to compete in the novice sheaf tossing event at the Royal Adelaide Show. He is on scratch against quite a large number of entrants. They will return to Pinnaroo the same day. Senator Nicholls, South Australian Labor member, who hopes to address election meetings from a helicopter, foresees helicopter taxi services and parcel delivery, community landing grounds, and landing grounds on top of departmental stores and hotels. Senator Nicholls thinks that within 20 years members of Parliament will be flying to Canberra in helicopters and landing on the root of Parliament House. Young men will be courting in helicopters, he says. He explained today that he hopes to own a four-seater helicopter, which will enable him to address meetings at the most distant parts of his State, vet return to his home each night. He expects to make a day trip to Melbourne in 1950 for the Melbourne Cup. We opened the vault to go back 100 weeks to the chat with had with our musical curator before he was our musical curator, Todd Fischer. Todd filled in at the last minute when a guest was unwell, and he inspired us with his passion for designing album covers for local bands. He even worked with Nigel and Steve to mock up a cover for the Leonard Cohen cover album, Blokes On A Wire by Cohen Nowhere. And our song this week is Hold On by Emily Davis, selected by Steve on behalf of our musical curator, Todd Fischer. Emily, who is from Yorke Peninsula originally, has a new album called YOU, ME & THE VELVET SEA, which is being launched this Saturday night, April 14, 2017, at Jive. The track we have chosen is Hold On, which is her first single from the album. You, Me and the Velvet Sea, is not a concept album but nearly every track features the symbolism of the sea. Let’s see if you can hear the sea in this track.